Dan Mantsha, lawyer of former president Jacob Zuma, on Tuesday said he had no knowledge of his client's intention to embark on litigation against the Sunday Times. 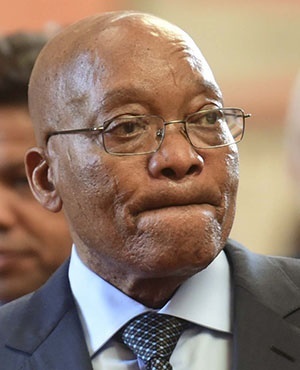 The weekly reported on Sunday that late Libyan leader Muammar Gaddafi gave Zuma an estimated $30 million for safekeeping before the North African dictator was killed in 2011. On Tuesday morning, Africa News 24-7 posted a message to Twitter reporting that Zuma was set to sue the publication over its front-page story. This tweet was deleted as the news website posted an incorrect figure — R422. It later reposted it with the correct amount. The Gadaffi money reportedly amounted to R422m. At around the same time, the former president posted his own tweet, questioning the whereabouts of the money, claiming King Mswati didn't know about it. Mantsha told News24 he would contact Zuma to seek clarity about his alleged intention to take legal steps against the Sunday Times. The publication alleged that Gadaffi's money was brought to South Africa after Zuma had met the former Libyan statesman, shortly before rebels closed in on him in Sirte. Zuma reportedly moved the money to Eswatini, where King Mswati's regime took hold of it. Mswati initially denied his kingdom was holding the money, but later admitted having it during a meeting with President Cyril Ramaphosa, according to the Sunday Times. Zuma's spokesperson, Vukile Mathabela, was unavailable when News24 contacted him for comment.